It feels like a while since I’ve written about fiction (I’m not counting ‘The Prisoner of Happy Hansel’). Truthfully I’ve not been able to settle down to reading much recently; I have a book group book that I need to finish and it seems to be taking forever and due to the one book at a time rule (this thing’s on a deadline after all) I feel bad if I pick up anything else. Short stories however can’t possibly count so I’ve been reading lots of those, and newspapers, and cookbooks – why is it taking me so long to finish one short novel I wonder? 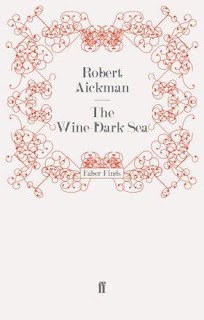 Robert Aickman’s ‘The Wine Dark Sea’ arrived a few weeks ago courtesy of Faber Finds. A while back I found a Faber Find in Oxfam, carried it home gleeful, and then threw an almighty sulk because it was riddled with typesetting problems. After a comment to that effect on another blog Richard Kelly (Faber Finds editor) sent me an email where he very graciously promised me a copy of this particular book, I couldn’t say no. 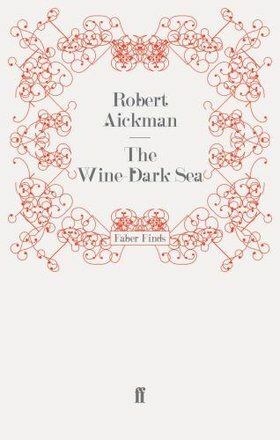 As my previous experience of Aickman was limited to the bits of ‘The Unsettled Dust’ I managed to wade through ‘The Wine Dark Sea’ has been a bit of a revelation. 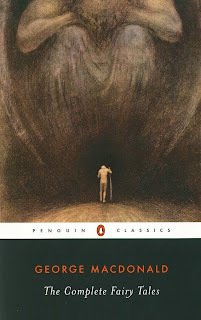 I still don’t know much about Aickman but I understand why Faber Finds want to reprint him now, and why Kelly himself is a fan. I’m quite impressed that he went to the trouble of getting in touch (Kelly obviously, not Aickman who died 30 years ago – that would be far too much like one of his own stories). It’s the sort of thing I have to do (grudgingly sometimes) for difficult customers – it’s nice to be on the other side of the equation, and of course it works, I’ve gone from someone who didn’t have a good word for this particular imprint to someone who sings praises and leaps to the defence of Faber when occasion demands. My first impression was that this was a collection of ghost stories – I started with one called ‘Your Tiny Hand is Frozen’ where a man develops an unhealthy relationship with the telephone and a voice on the other end of it. It’s deeply unsettling both as a tale of the supernatural and because I can no longer imagine how I functioned without my mobile phone. I love the way that Aickman plays with the idea of something simultaneously connecting the user to the outside world and cutting them off from it. The next story that attracted me was ‘Never Visit Venice’ which is also deeply unsettling but for different reasons, not so ghostly but rather straight up horror. By the time I’d finished the title story it became clear that Aickman just deals in the odd. This is the kind of odd that sticks in the mind worrying away at your imagination until you’re not at all sure what’s what. The end result is this; I’ve had some very strange dreams, spend less time with my telephone always within arms reach and will probably be reaching for this around Halloween next year when I want something a little bit spooky but also reasonably subtle with it. I’m also confident about spending my hard earned cash on Faber Finds that appeal to me in the future which is daunting because their list is long and full of temptation. Monday afternoon off and I’ve spent a fair chunk of it finishing off yesterdays baking. More Lebkuchen which have managed to find an appreciative audience (and I’ve still got quite a lot of dough left, the promise that it would make 40 seems to have been a bit conservative but I’m not complaining). I got a new electric whisk on the way home and fresh yeast as well so I could have another go at the current buns. They rose this time – erupted might be a better description, I turned my back for a few minutes and the whole lot came damn near to escaping. The buns are now out of the oven and have had a vote of confidence from both myself and the Scottish one – still annoyed about yesterdays rubbish results, and having walked into John Lewis as they unpacked the Kitchen Aid of my dreams (a rather fetching dark blue) I’m somewhat underwhelmed with the new whisk (not a fetching blue colour) but at least I feel like I’ve regained control of my kitchen which is something. 150g of mixed nuts – I used mostly hazelnuts with some almonds as the original recipe suggested but imagine walnuts would be nice too. 1tsp bicarbonate of soda dissolved in a tbsp of water. Mix the honey and sugar in a pan and bring to a gentle boil stirring until the sugar is melted, add the spices and set aside to cool a little. Whizz the fruit and nuts in a blender until they’re at bread crumb consistency and add the flour. Beat the two eggs until frothy and then mix all the wet ingredients with the dry. It’s a stiff mixture, I started with a wooden spoon and ended up kneading it altogether with my hands which worked much better. Flatten into a manageable slab, wrap in clingfilm and chill in the fridge for a good few hours. When the dough is good and cold and hard heat the oven to 160°C/ gas 3, roll it out to about half a centimetre thick, and glaze the biscuits with beaten egg before they go in the oven. They will be done in about 20 – 25 minutes, are wonderful, and will apparently keep for about a month in an air tight container (some chance). I love my mother; she is a wonderful generous woman with an amazing array of talents and achievements including a way with a telling a story that’s irresistible. I love that her generosity extends to garden the produce her flat bound daughter couldn’t get anywhere else, and am only mildly suspicious that it’s always things which take an eternity to deal with, (kilos of plums, cherries, and hazelnuts) and make a sticky or crunchy mess. Today I’ve cracked the shells of about 2 kilos of hazelnuts, thankfully my friend C came round for coffee and did the last of them – between us we put in some 4 hours work. There are worse things than hitting nuts with a hammer – I’m now a crack aim, they are now all beautifully preserved in honey and I daresay that in a week or two I’ll have located (probably by standing on them) all the shards of shell that dispersed in the traditional manner of shrapnel around the kitchen. It has been a proper kitchen day although one with mixed success. The nuts and honey look good but as that was a task of attrition rather than skill any pride in it is restricted to the stamina C and I displayed in getting through the job. More impressive –I feel – has been my first attempt at Lebkuchen. I’ve never made biscuits quite like these before, not that they’re especially challenging – but they felt quite exotic, I think it was the boiling honey and the profligate use of clove and cinnamon, maybe it was the dissolving bicarbonate of soda or the vaguely unexpected inclusion fruit and two types of nut, or wondering why it’s called gingerbread when there’s no ginger – but no, on reflection it was definitely the smell. The honey, clove, and sugar element was as black and sticky as tar, it also got everywhere and on everything (I’m still sticky despite some serious scrubbing) but I deeply enjoyed making these, I wish I’d realised that the dough is meant to rest for 24 hours before luring C with promises of biscuits – I made some anyway after a mere 4 hours (nut crushing time) and they seem fine, but will see tomorrow if even more chilling makes a difference. I expect it won’t but you never know. The recipe called for dried orange and lemon peel which I didn’t have and couldn’t find in town so I used apricots that desperately needed seeing to instead which I think sounds nicer anyway and you can’t argue that the Austrians don’t like apricot (I realise as I type this that I’m basing this entirely on an ancient episode of Two fat Ladies which has inexplicably stuck in my head – I’m sure they were right though...) There were still apricots left and because C doesn’t like sultanas, and because the Lebkuchen looked like it might be a non starter I thought I’d make fruit buns with them. Disaster followed wherein insult was added to injury. My poor electric hand whisk gave up the ghost - which it’s been threatening to do for a while and brings the number of hand whisk casualties up to 4 (I have form with these and hoovers). It means a serious, and expensive, dilemma. I can’t do without some sort of mixer and as another whisk gives up the ghost I have to admit that perhaps I really do need (as opposed to just want) a kitchen aid (such a middle class sort of a problem). I might conceivably have the money for one by March. I can hear the siren call of the credit card - almost every fibre of my being is telling me to be extravagant but there is a very quiet voice urging common sense and debt avoidance and I can’t help but blame the dastardly buns for all of this nonsense. Twas the bun mix that did the damage causing one of the hooks to cease turning for good and all, which I could have been philosophical about had the little devils risen. They would not; the mix sat leaden in the bowl, and sat leaden on the tray. You get to a point of no return with bread where you feel you have to see it through just in case of a miracle. There was no miracle and they went straight in the bin. 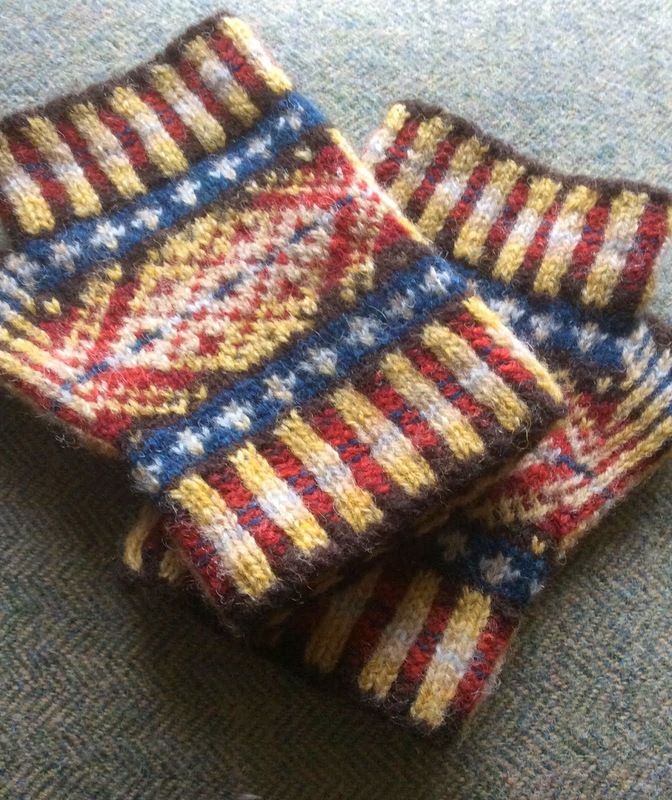 I’m blaming this on a dodgy sachet of yeast, and they would have been so nice if they’d worked. Thank god for the Lebkuchen. 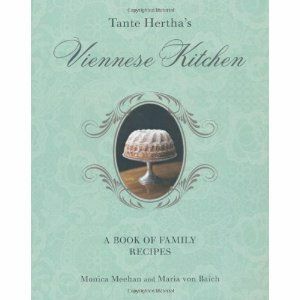 Tante Hertha’s Viennese Kitchen was left just outside my door yesterday morning. (Postman doing a pretty good milk tray man impression at the moment – love the postman who will climb the stairs to my flat, so much nicer than the postman who left a little red note in the letterbox telling me I could have my post in 48 hours if I would go and fetch it myself from a skanky back alley behind the railway station). Sadly I had to go to work almost immediately and didn’t get home until just before 11pm desperate for a bath, bed and sleep. At 3am I was still leafing through Tante Hertha. A few years ago I was beguiled by the Tessa Kiros books which sort of mixed family history and food. ‘Falling Cloudberries’ is an excellent book which deserved all the plaudits it got, ‘Apples for Jam’ has a good chocolate cake recipe in it and then there was ‘Venezia: Food and Dreams’, the pages are gilt edged, the bookmark is black velvet, the illustrations are lavish and I’ve never used it once not least because I find it impossible to engage with however lovely it is to look at.‘Tante Hertha’s Viennese Kitchen’ is just as lovely but infinitely more engaging, an object lesson in how to do this sort of book properly. Hertha was the aunt and great aunt of the daughter mother team responsible for this book. She was a nurse during the First World War after which she became a society photographer. The Second World War and communism robbed Hertha’s family of estates in what was to become Slovenia (like all the best Austrians Hertha was a baroness) and the photography business went downhill. Nothing daunted Hertha (who didn’t marry but shared an elegant apartment with her mother and a sister in law) went into catering working from a kitchen which was also a bathroom. She sounds like the most amazing woman. Hertha kept a notebook of her recipes which were almost lost in a clear out but were happily rescued by Maria Von Baich and this book is the result. I gather that everything has been tested and where necessary tweaked and updated, the book is a nice bit of biography, background on old Vienna, photo’s which create an ambience, lots of notes and tips, and a really good selection of recipes. The emphasis is on sweet things; cakes, biscuits, and tortes but the savouries aren’t neglected and for someone who doesn’t really know it looks and feels very authentic. The sweet bias makes sense because what I do know about fin de siècle food is that the savoury bits don’t always date so well but everyone loves cake. Reading this I was also really reminded of ‘The Hare With Amber Eyes’ – the parallels are obvious; an aristocratic family falling on hard times, the Viennese setting, and a concentration on the small details of everyday life, as well of course as a treasure rescued and passed down the family. Better though is that this treasure can be shared – these recipes are living history and a celebration of a remarkable woman. At the weekend (after I’ve caught up with some sleep) I will be making Lebkuchen which I love to buy but have inexplicably never made – and am not even sure if I have another recipe for. There are all manner of other biscuits I want to try, and the thing that’s really caught my imagination; meringues to use as Christmas tree decorations, apparently these were traditional and are baked with cotton attached for hanging purposes. I haven’t bothered with a tree for the last two years but think I might have to this year just so I can do this. ‘Tante Hertha’s Viennese Kitchen’ is published by a company called New Holland which is new to me but coincidentally amazon recommended ‘Notes From A Swedish Kitchen’ this evening which comes from the same stable. 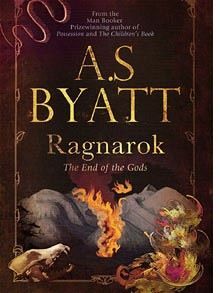 It looks intriguing and has gone on my wish list (who would have imagined that I've been looking for just such a book – damn you amazon with your temptations). If it’s anything like as good as Tante Hertha it will be impossible to resist. It was part of something called the ‘Excelsior Library’ or select stories by authors of repute and looking at the officers and agents was available throughout the empire and America. I can’t find when it was written and the book itself is unhelpful in that respect but the overall feeling is late Victorian. By authors of repute the Excelsior Library means evangelically Christian and I have to say this was a truly terrible book by any standard I can think to measure it against, even an idea of Christian self sacrifice. 14 year old Maidie is sent to live with her Aunt Rachel and Uncle Occo on their Shetland estate whilst brother Jack heads of to Jamaica to try and sell some land to restore the family fortune and buy back the home they lost. After a few weeks of not being allowed to read Tennyson and being expected to be clean and tidy Maidie has a fight with her aunt and runs off to sulk in peace. She falls asleep in a handy fishing boat waking some hours later to find herself at sea with a group of smugglers, tenants of her uncle who has suspicions of their activities. When they find her she’s handed over to a saintly old grandmother and devout young fisher boy to be taken care of. She stays with them for 10 months whilst her uncle and aunt assume she’s been drowned - this despite still being on the family estate and not really being a prisoner at all (this might be possible to imagine in the wilds of Canada or Australia, but I hope British children where less credulous). By and by Maidie learns to think of others, help around the croft, and to share Haco and his grandmother’s love of Jesus. The old lady’s faith was born of losing 7 sons and a husband to the sea in 6 months – the son she has left is the unsatisfactory smuggler Daniel. The climax of the action comes with a storm and a wrecked ship. Maidie, Haco, and another young fisherman, Jarum, that Haco has managed to dissuade from his former smuggling ways set off to try and rescue some of the crew before the ship is totally broken up on the rocks. They manage to save a sailor and a gentleman (who turns out to be brother Jack returning to Shetland despite presumably being told that his sister had died and having no particular business there) and are just about to attempt to get back to shore when they realise that a child is still on board. On a clear suicide mission Haco jumps onto the foundered vessel to rescue the boy when the whole lot goes down and they’re both drowned. Returning to shore Maidie collapses into a faint for two weeks, the grandmother has died in the night (which saves her the grief of losing another family member) and everyone else becomes good Christians on the back of Haco’s example. It was all very silly and as Christian messages go I’m clearly too much of an unreformed sinner to understand it. Paxton uses the place names of my childhood but not the geography – although I think he must have known Shetland a bit because a lot of the dialogue is in dialect which is much more convincing than the plot. Meanwhile I find myself very grateful for Enid Blyton and the generally much higher quality of children’s literature that I had when I grew up. This weekend has been a prime example of why I shouldn’t live on my own. I would say it’s been a master class in procrastination except that procrastination would imply rather more useful activity. How can it be this time on Sunday evening already and why does making a cup of tea feel like an impossibly demanding task? I am never this unproductive when I’m in company, and the worst of it is that I could have spent the weekend reading if I’d only been honest enough to admit I wasn’t going to do anything very useful with my time. At least I did manage to finish ‘The Complete Fairy Tales’ of George MacDonald. It’s been a long journey – truthfully I feel like I’ve read several books in one which is natural enough; the tales come from several books, some of them are almost novella length, and they span MacDonald’s career with a definite change in mood. MacDonald himself almost came my way as a child. 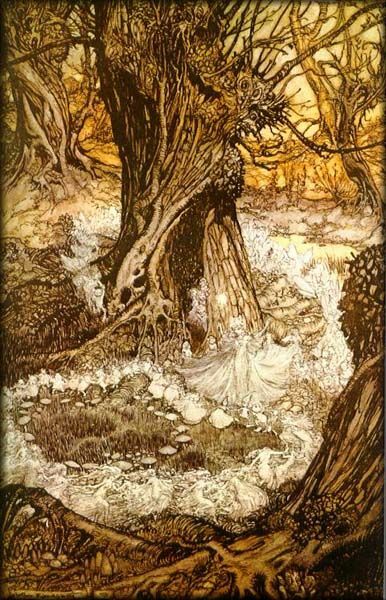 I had an illustrated copy of ‘The Princess and the Goblin’ but I got it too late to have it read to me and possibly it was a bit challenging to read to myself, either way I never did read it and am now not too sure what happened to it which is a shame because I’d read it now with pleasure. This copy of Fairy Tales is a lovely floppy American paperback that I ordered from amazon a couple of years ago, half read one story from and didn’t pick up again until Helen from A Gallimaufry reminded me of it. I think I bought it because I was going through an enthusiasm for Scottishness but it seems fitting that I read it in the grip of an enthusiasm for the fantastic. MacDonald turns out to be a sort of missing link (only missing from my reading experience) who ties together E T A Hoffman and C S Lewis with David Lindsay and A S Byatt. The stories themselves start with the (quite literally) light hearted ‘The Light Princess’ all about a young woman who lacks gravity until she can be made to shed a tear for a handy prince. 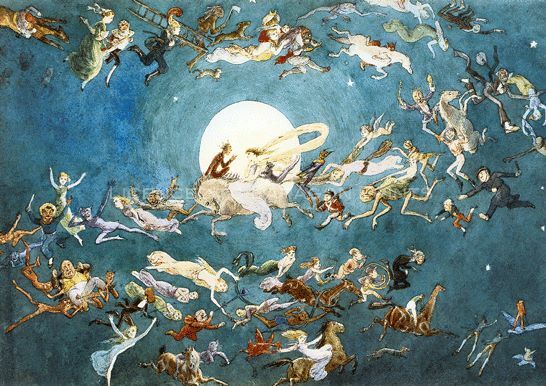 MacDonald has rather a line in Princesses, there is also Little Daylight which is essentially a reworking of ‘The Light Princess’ and both are versions of Sleeping Beauty. Both are genuinely funny as well as having the traditional moral, more original is ‘The Shadows’ about an old man who becomes king of the faires and is carried away by the shadows to see how they live. Slowly though the stories get darker, fairies are less helpful, more spiteful, and sometimes downright wickedly frightening – so it is in ‘The Carasoyn’ where they steal children and threaten to return them in bits. And then there is ‘The Wise Woman, or The Lost Princess: A Double Story’. This one is definitely novella length and although the humour isn’t lacking and neither is the moral – spare the rod and spoil the child. 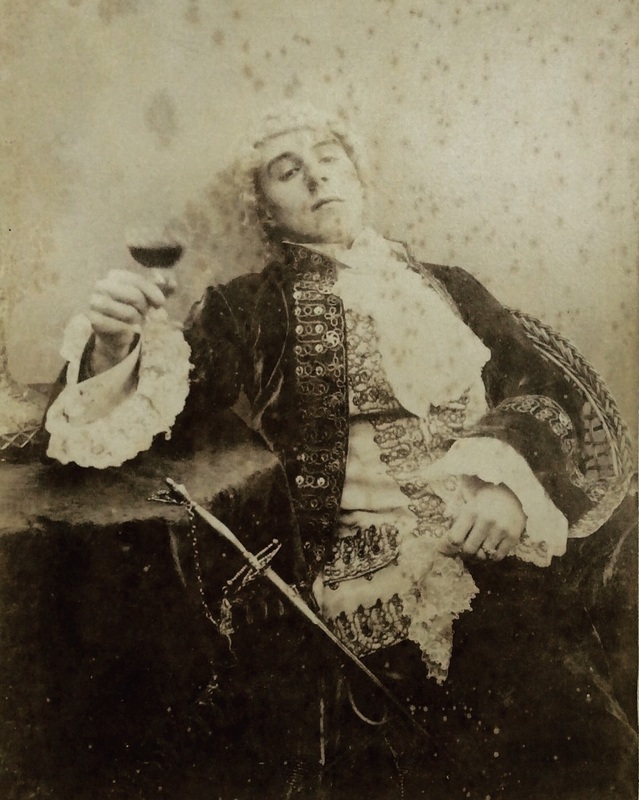 I would feel easier about it if the two particularly unpleasant children weren’t girls; I think the crimes of temper and self complacency are ones that boys are just as guilty of but the point is that the angry princess is being tamed to be a good daughter and better wife – she will even be able to black her masters boots. Otherwise like all the best fairy stories you feel like these are rooted in every and any time. MacDonald’s humour hasn’t dated at all and he deserves his place on the bookshelf – I really would have loved to have had these told to me and now would love to tell them. If I was to take George MacDonald literally I would suspect that the fairies had left the building this week. I’ve either not slept at all or slept too much, been to hot or too cold, undercooked or burnt things, and been unable to settle down to reading anything very much. 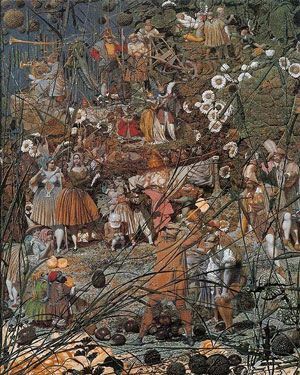 I’ve been working my way through George MacDonald’s ‘The Complete Fairy Tales’ – on the traditional fairy time line; what should have taken a few hours has inexplicably taken days. I don’t know if my inability to concentrate on anything very much book wise has been influenced by the number of short story collections I have stacked up waiting to be read at the moment. It’s mostly been the Fairy Tales, but there have been forays into Robert Aickman’s ‘The Wine-Dark Sea’ and I really want to be reading some John O’Hara shorts that are currently laying in a seductive manner by my bed. 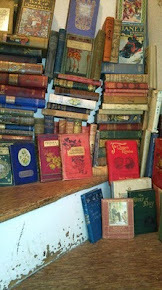 That and there are a bundle of novels and novellas I can’t wait to get to including Trollope’s Palliser series, and should I order a handful of the Stella Gibbons print on demands from Vintage? 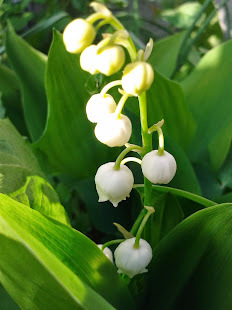 Going back to the fairies and the kitchen – the kitchen has been strange recently. Again if I took MacDonald literally I would be blaming the little folk and certainly cultivating better domestic habits. My freezer is weird (what follows is gripping edge of the seat stuff) I’ve been slowly emptying it with a view to a defrost since the spring so now it’s mostly full of approximately a half hundred weight of Seville oranges, a brace of elderly grouse, and something that’s buried in perma frost. I don’t remember buying so many oranges and am beginning to suspect that they’re somehow multiplying. Irrationality born of late nights and lack of sleep you think? Well the hash browns I found last week tasted of orange, and more sinister the kippers I defrosted last night smelt of oranges. 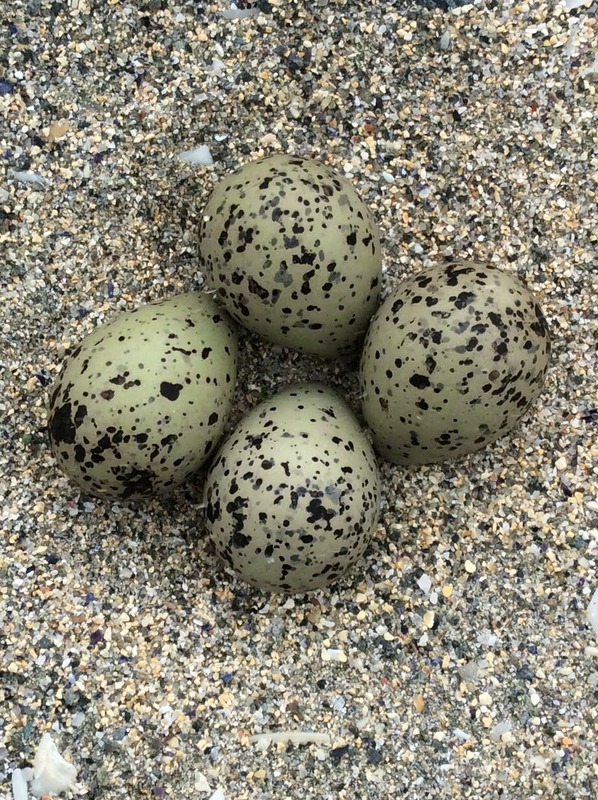 Kippers. Kippers can normally hold their own in the scent stakes. And really – there are a lot of oranges. Got to do something about the oranges. Anna/Alice was a Catholic, she was also a wife, mother, writer, cook, hostess, editor, and almost a nun but of all these things it’s her religion that she chooses to mention and generally draw attention to in so many of her books so it’s no surprise that the article is called ‘From Convent to Kitchen Table’ or that as well as being her friend, and she his editor, Alexander Lucie-Smith is also a priest. I found Alice Thomas Ellis through Virago, firstly with ‘Fish, Flesh, and Good Red Herring – A gallimaufry’ and later when I picked up a book in Waterstone’s because it had an apple on the spine. This was ‘The Sin Eater’ and was swiftly followed by ‘The Summerhouse trilogy’ (which is a masterpiece that I cannot recommend highly enough). These were re printed around 2004 but since then not much has appeared. Lucie-Smith wanted to re-read his friends novels but found her unavailable from his favourite second hand book shop and in his library, not only unavailable but unknown (I hope he looked on amazon next where her books are cheap and readily obtainable). I think what surprises me is that these books aren’t that old. 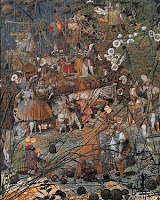 ‘Fairy Tale’ which is wonderfully disturbing was written in 1996, one of her books was shortlisted for the Booker (admittedly in 1982 which is longer ago than I like to admit given my own age) some of the books were televised, and according to Wikipedia Charles Dance was looking to turn ‘The Inn at the Edge of the World’ into a film in 2009. So how is it that a writer who was clearly popular, as well as critically acclaimed can disappear so quickly? I will be forever grateful that Virago have a soft spot for catholic lady authors (Carmen Callil’s convent education was certainly good for something). I’ve found so many writers to admire who have this one thing in common. It’s not the religion that attracts me, at least not directly, but something in the way the world is shown that’s deeply attractive however dark it gets (this goes for male catholic writers too; Evelyn Waugh exemplifies many of the things I love about Alice Thomas Ellis). I think so too and hope that ‘Slightly Foxed’ does for some what Virago did for me – introduce them to a really wonderful writer. Next day I managed to remove the bowl of juice from the floor and put a lid on it against further developments. The slimy pulp proved harder to deal with. The thing is there was such a lot of it and it was surprisingly wet and unappealing to touch. I’ve never attempted to deal with quite so much all at once (and god knows I have a new insight and appreciation for more professional preservers). I was on my way to work and didn’t have a lot of time but something had to be done. The end solution (it seems I don’t perform as well under pressure as I always thought) meant when I got home the sink in the kitchen was slightly blocked, and so was the bath. Also the bathroom was covered in dried fragments of damson, as is everything that’s been in the sink and bath ever since. This includes me. After the clean up it was time to start boiling, which is when I realised I’d miss measured the water in the first place and forgotten to measure the liquid I did have. More messing around and splashing later and I think I threw in enough sugar. It got hot, and then hotter yet, which isn’t really the best way to spend a Friday evening after a long day at work capped by a bus running half an hour late and with a very early start for more work the next day. Finally though I thought setting point had been reached. It hadn’t as it turned out, but I wasn’t to know that until the next day. Meanwhile I went to sleep exhausted. Remembering when weekends where about not staying in slaving over a hot stove I spent Saturday night re boiling my damson gloop until it looked blacker than a pit of hell and boiled over. More cleaning and a final decant into re sterilised jars and I think I’m onto something. Which is good because I have no shortage of whatever it is I’ve made. It’s not as good with meat as I hoped and is a bit runny to use instead of jam but it’s a lot like pomegranate molasses which is hopeful. Any suggestions about what to do with it will be gratefully received. On Mondays I generally finish at lunchtime which is nice, but this is after getting up at 6am to be at work in the first place which I don’t enjoy so much. It’s always a toss up between being a glass half empty, glass half full kind of a day. Today turned into a glass half full when I found this in the letterbox when I got home. 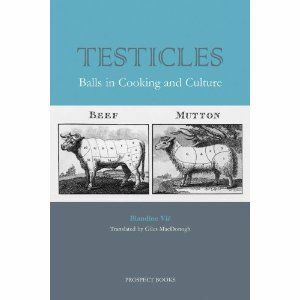 It was utterly unexpected and even after a brief look it’s still something of an unknown quantity but it’s a long time since a book title has made me laugh like this (my mother was amused too, but the Scottish one was appalled). I don’t know quite when I’ll read this but I love Prospect books, a parcel from them has never failed to make my day and although I suspect this is a change of pace from the last book I got from them (the superlative ‘Cakes’ by Geraldine Holt) here is a picture of ‘Testicles: Balls in Cooking and Culture’ which I hope will raise both a smile and enough interest to encourage all and sundry to go and look at Prospect's website. 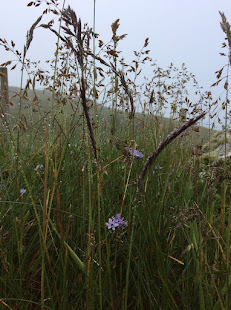 I’m still feeling a little despondent, a state not helped by the weather today – what I was hoping for was a basically dry day because the plan was to go to Burghley for the last day of the horse trials. The plan was followed but somewhat dampened by a torrential downpour (we should probably have changed our minds before paying up to get in) with the result that we were both grumpy but never at just the same time so a cycle of mild bad temper was instigated. This wasn’t improved in my case when we got back to Leicester to find it dry and sunny. The Scottish one very sensibly dropped me off at my flat and fled back to the country to dry out in his own good time, meanwhile I got to spend some quality time with ‘The Birthday Cake Book’ which arrived on Friday but was too heavy haul around all weekend. I’m finding it hard to settle on reading anything at the moment. The book I have on the go is good and I want to finish it but I can’t seem to keep my attention on it. Which is another reason I love cook books – and books with pictures generally I suppose. ‘The Birthday Cake Book’ actually distracted me from crap on television (and a half hearted intention to do laundry and write letters, but almost anything else would have sidetracked me from those jobs) which is a big step forward and gave me something lovely and escapist to think about which I appreciate too. I really liked ‘Bake and Decorate’ which had some great and do-able looking cake decorating exercises and did rather wonder what this follow up would be like. ‘Bake and Decorate’ seemed to have it covered – the answer is that ‘The Birthday Cake Book’ steps everything up a level. Truthfully I think I might be a little bit out of my league here, I’m just not sure that I have the patience for some of the projects, or perhaps even more importantly the audience – so it’s a very good thing that each one come with a candle rating which indicates if something is easy, requires some effort, or is challenging. The other thing that I think is particularly brilliant about both Fiona Cairns books is that the cakes look obviously home made in the pictures. There are small flaws that are reassuring to look at because the overall effect is still stunning and it encourages me to believe that I could achieve these things. Going back to the idea of an audience, these are cakes with a wow factor; painted Russian dolls made from sponge with a lime and vodka syrup filling, a crystal skull which puts Damien Hirst’s diamond effort to shame, and a bucket and spade cake complete with crushed biscuit sand and chocolate sea shells all really stand out. Also ‘The Birthday Cake Book’ is likely to feature heavily as a present for baking friends over the next few months especially if I think they may be persuaded to make me one of the following: a Blackberry, Lavender, Rose, and white chocolate cake, a butterscotch cake which has amazing hazelnuts on it (they’ve had a sort of toffee apple treatment but also been allowed to drip so they’re all wispy and incredible looking), and a perfect heart shaped affair with eau de nil icing, a bunch of fresh violets on it and some nifty ribbon to hide any messy bits around the sides. That last one is also the cake I most want to attempt myself, I’ve never used sugar paste so have no idea how easy it is to get that flawless looking finish (it has a two candles for some effort required rating) but I love it. Inspired by all the pictures I made my first Sachertorte tonight. Fiona Cairns gives a flourless recipe but I wanted something a little more traditional so made the Fortnum and Mason version (sort of, Fiona replaces flour with almonds, I used a bit of both). There’s an episode in a Molly Keane book where someone makes a Sachertorte and it’s desperately complicated as well as involving a profligate number of eggs. My recipe turned out to create a profligate amount of washing up as I used 3 bowls just for the cake, never mind icing it – after which the half dozen eggs required were a mere bagatelle. Happily it turns out that it’s just my sort of thing; richly chocolaty without being very sweet and with a slightly decadent feel to it. The ganache threatened to split (was actually a claggy mess) but was rescued by a thorough beating with an electric whisk and now I can go to bed feeling like something other than a soaking came out of today. How could I resist a bottle with an Otter on the front? Single malt whisky is a bit of an obsession for me, not in the way that books are, but not so very far behind either and it’s very much on my mind at the moment. I have one, perhaps two, maybe even three whisky tastings to organise over the next few weeks which might get interesting in terms of crowd control. I have also started, or at least I’m trying to start a collection of Malts, this development is partly a holiday hangover when for the first time I bought more than I could drink (or arguably afford) but also because after more than a decade of telling people what Whisky to buy for investment purposes I think I actually know what I’m talking about at last so am finally willing to chance my own money on the venture. The reasons Whisky, specifically Scotch whisky (I don’t doubt they make good spirit elsewhere - but they can keep it) fascinates me so much has changed over the years. When I started out working in Oddbins I wanted some area that was mine, happily the more complicated wine stuff was covered by people far more knowledgeable than I had the energy or liver to compete with but my vaguely Scottish roots made Whisky feel like a good fit. Initially I didn’t much like drinking it, but the romance of the marketers caught my imagination and the tipping point came on a tasting day organised by Bowmore. There was a moment’s trepidation as I sat on a train to Manchester at 7 in the morning when I really realised that by 9.30am I would be hitting the first drink of the day. It turned out to be less daunting than I feared (we spat a lot). In the beginning I was very much in love with the idea of Whisky as an expression of place, each malt born of its own particular bit of the landscape and I liked the idea of something not only home grown but with a long and distinguished heritage. Some of that turned out to be off the mark. Malt Whisky as we know it has only been around for roughly my lifetime, before which it was all about the blends with odd exceptions (it’s blended, branded, Whisky they rescue from ‘The Cabinet Minister’ in Whisky Galore). It was Glenfiddich who invented our concept of a ‘single malt’ – meaning a whisky from a specific distillery. There are just over a hundred distilleries in operation at the moment and plenty of spirit sloshing around from mothballed, bulldozed, or burnt out ones but even so you might think it would be a simple enough matter to try most of them and know what made each one unique. The difficulty and the magic is that each ‘single malt’ is actually a carefully married together selection of different casks each one of which is discernibly different. It’s someone’s job to put them altogether until you get the drink they feel best expresses that distillery and then to go on making something that tastes the same year after year. It’s the wood that causes the variation and it seems you can’t ever predict quite what it will do. There are a myriad of other decisions regarding peat, shape of the stills, length of fermentation and distillation, where you take the cuts in the spirit... all of which affect the kind of whisky you can make, but it’s the 10 to 20 years in wood that really seems to matter (or so I believe at the moment). Gone are my ideas of the pure essence of a place captured effortlessly in a bottle, but I think in this case the reality is better. A good whisky is the result of craft and time, it’s endlessly complex, there are an infinite variety to choose from, and things are always changing. The Whisky I’m sipping tonight went into cask about the time I fell into the wine trade. When he was 18 I gave my brother a bottle distilled the year he was born (his parents drank it which impressed neither of us). The essence of the place is still in the bottle, but I realise now that it only gets in there after a great deal of effort and patience.